Remberto C. Lozada, or "Tito Bert", formulated and implemented his own style of teaching swimming in 1956. His method was a compilation of what he learned from his father and his travels to other countries during swimming competitions either as a competitor or coach. Its foundation was on strict discipline and emphasis on stroke mechanics. But it was his passion for the sport that was his biggest advantage as a teacher. 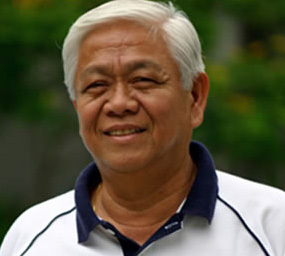 Tito Bert taught in private pools, sports club and villages, and garnered a lot of praise from his students' parents because of his effective method of teaching. As his students became good swimmers, he eventually went into coaching these talents. He became successful in producing champions and this lead him to become a prominent fixture, not only in the learn-to-swim industry, but more so in competitive swimming. The highlight of his coaching career came when he was head coach of the Philippine Team at the 1991 Southeast Asean Games (SEAGAMES) where the Philippines was able to achieve its best performance. But even before then, his swimmers were already qualifying for the Olympics, Asian Games and SEA Games. Most notable among his swimmers were Ryan Papa, Eric Buhain, and Roselle Papa. It was in 2002 when Bert Lozada Swim School (BLSS) became a corporation. Today it is the biggest and well-managed swim school in the country, employing an average of 150 teachers, coaches and staff. From a single venue in 1956 (YMCA Manila), it now has 56 venues all over the country. The school has produced 7 Olympians, several national swimmers and record holders.